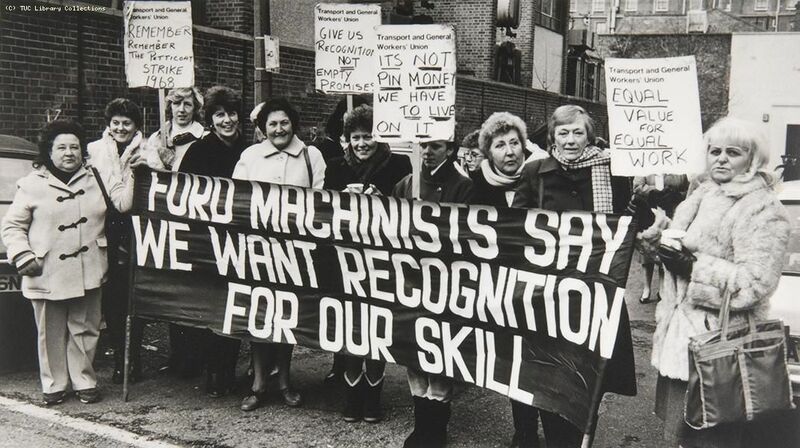 The Dagenham protests led to the UK’s Equal Pay Act being passed in 1970. Today, women around the world are still fighting for their work to be valued equally to men’s. Time use surveys tell us that many women juggle more than one job, doing unpaid and paid work. And yet they often aren’t recognised or appreciated for either. Today the debate has also widened; it isn’t just about equal pay for equal work – although that remains key – but equal value for different kinds of skills, including caring skills, and for the unpaid activities that don’t even fit traditional notions of work but which are absolutely crucial; to the economy, to our wellbeing, to our very existence. The impact of all of these inequalities is never felt so strongly as it is in older age. By the time women are past ‘productive’ or fertile ages they are seen to have no place in a system fixated on economic growth. In fact, they simply are not seen. By older ages, women have experienced (and continue to experience) a series of inequalities – in the workplace, in the household, in pay and opportunity and respect. They are far less likely than men to have a pension to buffer them. They are more likely to be shouldering unpaid care – sometimes willingly, sometimes not. They continue to bring in any income they can – sometimes willingly, often out of necessity. They find new types of discrimination playing out against them, purely because they are older women. But despite these challenges, household surveys often exclude older women – and policy and programme makers follow suit. This is why our research with the Overseas Development Institute, to be launched in the autumn, is so important. Where older women have been excluded, we hope to find their voices. Where they have been sneered at, belittled, or patronised, we hope to raise awareness of these injustices and of their human rights. Where older women are invisible – in data, in economic calculations, in policy responses – we hope to make them visible in all their myriad of experiences, contributions and complexities. In many ways, the world has changed a vast amount over the past 50 years – and other ways it feels as though very little has moved forward. I hope that when the Dagenham protests mark their 100th anniversary much more will have been done to recognise and value the enormous contributions older women make to societies across the globe – regardless of pay.